Introducing a new design firm to KHD viewers, Minar architects from Kerala. 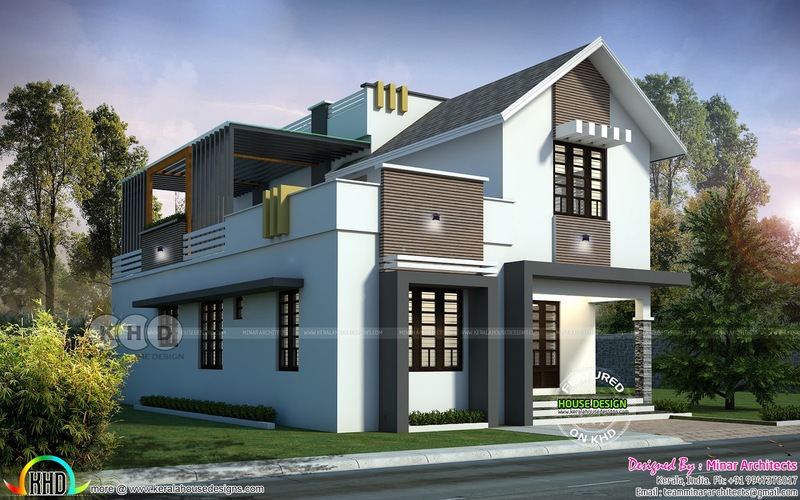 Presenting a sloping roof house plan in an area of 2170 Square Feet (202 Square Meter) (241 Square Yards) with 4 bedrooms. 0 comments on "Minar architects presents a sloping roof 4 bedroom home"